eGarage is a digital content creator and publisher. Born from a love of cars, we specialize in photo and video storytelling content in the Automotive realm. Our passionate group of producers are uniquely skilled in the curation, capture, and edit of short-form content that is worthy of conversation and legacy. 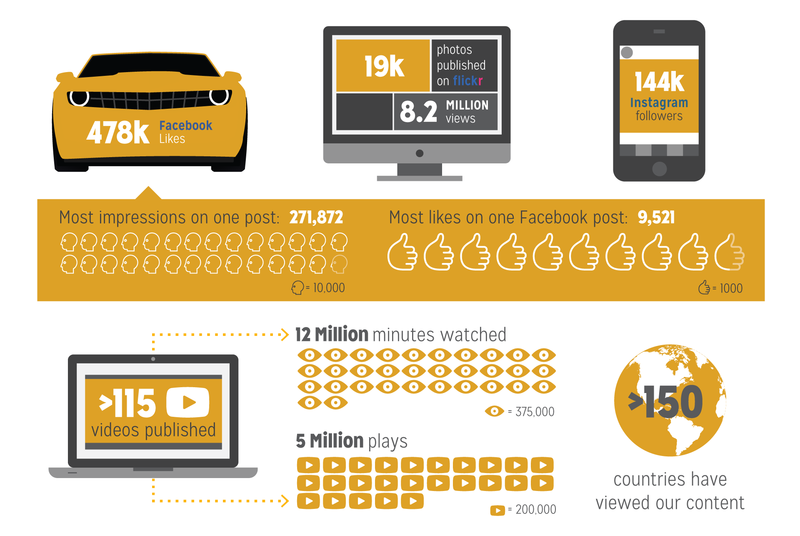 eGarage content connects with our viewers based on a repeatable formula: we evoke emotion through dramatic images, a powerful score, and a compelling narrative. eGarage tells “Stories in Motion”. We publish original photo and video content, event coverage, as well as curated editorial content. Our portfolio showcases our experience in producing a high quality production with relatable narrative that engage the viewer. We create “white label” and co-branded content for brands all over the world. We oversee our content from creation to execution and oursocial networks effectively spread both original and branded content around the internet. We license our content internationally across several different platforms to ensure a global reach. The brands with whom we collaborate benefit from the mainstream sharing that our content often receives.